Having lived in New York City for most of my life, the holidays including Thanksgiving was something that I always looked forward to. Our family would make the trek to Manhattan from our home in Brooklyn and go to every Macy’s Thanksgiving Day Parade®. We'd watch the floats pass by and then we'll have breakfast if we hadn't already, and then do some shopping along 34th street, heading into Macy's as well. Now that I'm in Colorado, we've continued the trend of watching the parade, but now from the comfort of our homes. 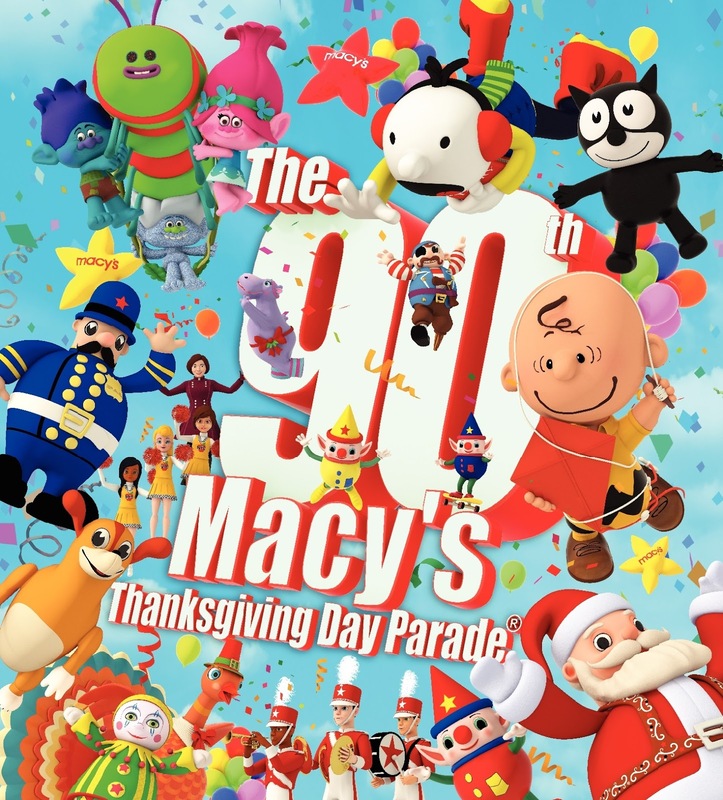 Thanksgiving just isn't complete without watching the Macy's Thanksgiving Day Parade®. 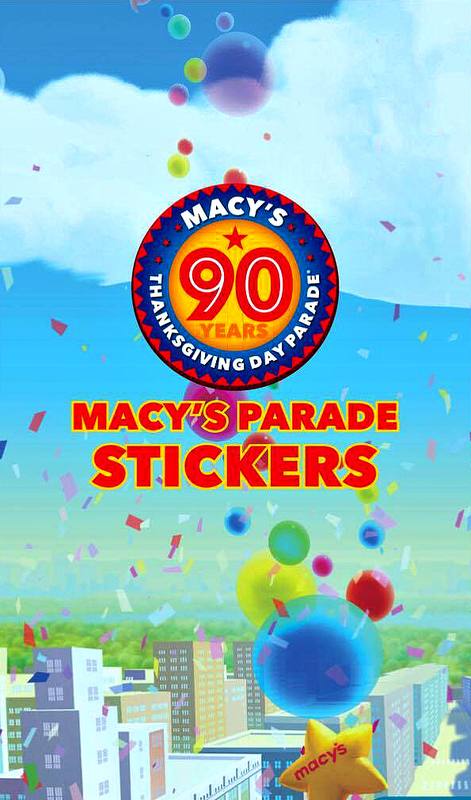 This November marks the 90th Macy's Thanksgiving Day Parade®, I can't believe it's been 90 years already. More than 3.5 million spectators will line those same streets of Manhattan that me and my family used to line up on to watch the parade, and more than 50 million will also be watching on television including me and my family. With a host of giant character balloons, floats that dazzle, and with some of the nation's best marching bands and performance groups, celebrities and of course the official entrance of the one and only Santa Claus, it's going to be a sight to behold, as usual. This year however, it will be just a tad different because you too can join in the fun with two brand new Macy's app. Have you ever wondered what the Macy's Thanksgiving Day Parade® was like many years ago? Well the app does that for you. 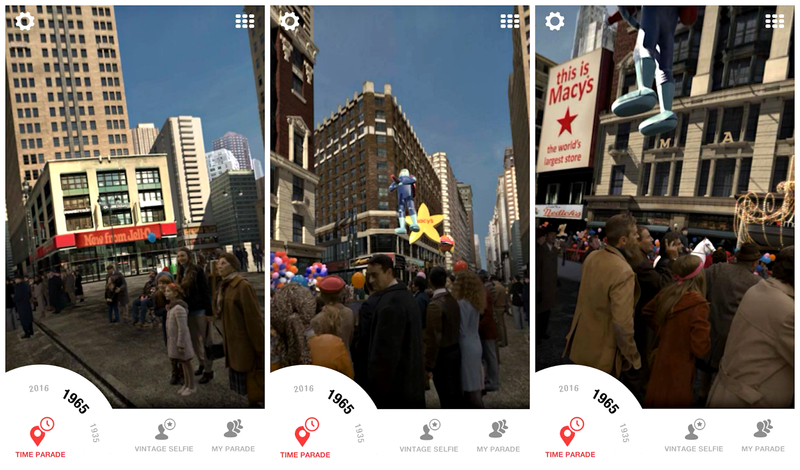 The app turns your phone into a virtual time portal giving you a glimpse of the parade of decades ago. You get a glimpse of the parade in 1935 and 1965, it's like going back in time. 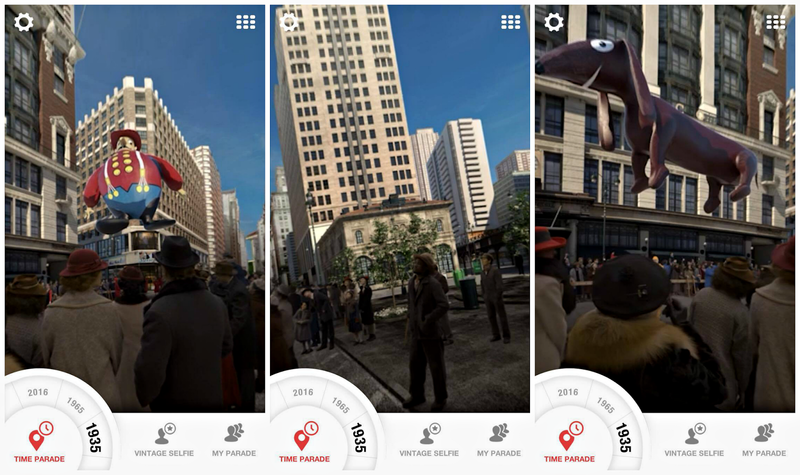 You can even move your device to see glimpses of the streets outside the store and the buildings, balloons, people and more from an era that most of us wished that we lived in. As for 2016, if you're lucky enough to be in New York. you'll be able to view what the parade looked like in previous decades while in Herald Square. You can use the app not only in the comfort of your home but also at your local Macy's stores. There are adorable character balloons to collect in your local Macy's store, and you can use them to create your own customized parade. You can also learn about the history of the Macy’s Parade and take a vintage selfie. If you think the fun stop there, think again. You can project your captured balloons wherever you go. 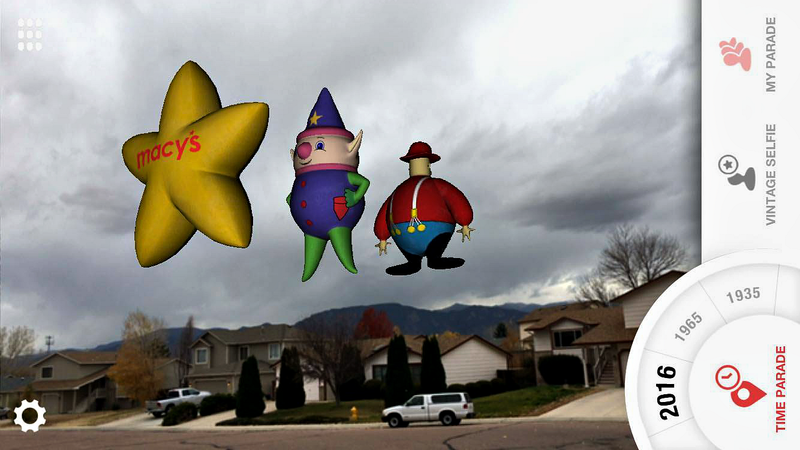 I had my own parade right outside my home. So are you ready to get started and have your very own Macy's Thanksgiving Day Parade®? 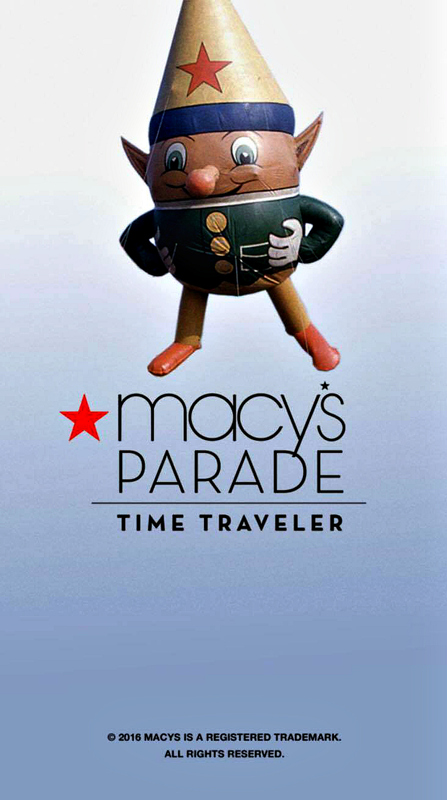 Download the Macy's Parade Time Traveler app now for iPhone or Android. 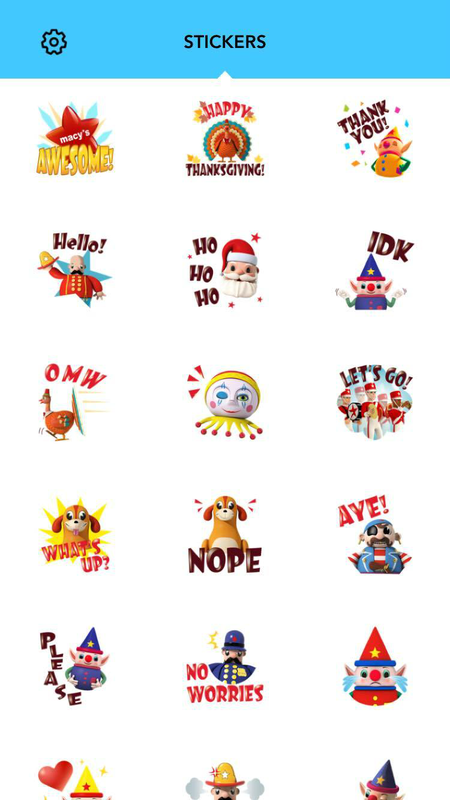 I am so in love with the Macy's Parade Stickers Emoji Keyboard app. I have been using it every since I downloaded it and and I have to say that they're super cute and lots of fun. You can share in the Thanksgiving joy and even Christmas with this new app. Now you can light up your friend's and families phones with text alerts of fun balloons and characters that are all festive and fun. Excited about Turkey day? Well there's and emoji for that. So get your fingers ready and download the emoji keyboard now for iPhone or Android. Get these two apps today for FREE and enjoy the Macy's Thanksgiving Day Parade® magic like never before!